Today is our National Day, and already now, at 9.45 I hear the sound of brass band playing in the streets. At 10 AM a large parade of children from the primary schools in Oslo will gather close to Oslo's main street, Karl Johans gate to parade down, passed the Norwegian Parliament to the Royal Palace. Here the Royal family will greet the happy children. 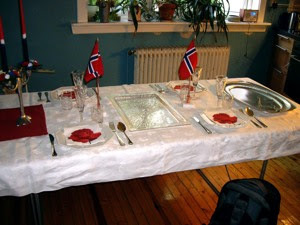 with crystal Norwegian Flags, candles in our National colours, crystal glasses, fine china and silver knives, forks and spoons. Why all this fuzz? Fine dining in not only about food, but should also enjoyed in style. 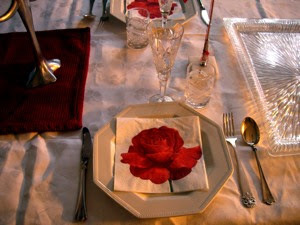 That means that the food should, not only taste well, but be presented nicely and be enjoyed by an elegantly set table. So what have I already prepared. Let me show you. 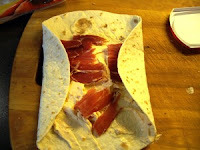 Wraps with Spanish Serrano ham and cream cheese with chili. This is very easy to make and tastes great. I love the combination of the taste of salted cured meats and the intense sweetness of the chillies. 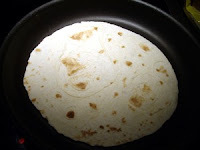 Use large wheat tortillas. Heat the tortillas in a hot non-stick pan to soften them. 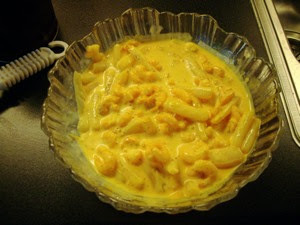 I use a cream cheese with chili added, but it is easy to take a regular Philadelphia cheese and add some sweet chili sauce. 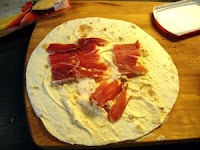 Spread the cream cheese liberally on the tortilla and take three slices of serrano ham or any other cured meats. You can use you local variety. Place the meats on top of the cream cheese. press gently to hold it together. 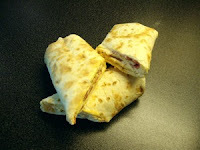 Cut the wraps in two and place in the refrigerator to cool down. This is a delicious snack. It is equally delicious prepared with smoked salmon and chives. CAUTION: This recipe contains raw eggs, that may be the cause of gastro-intestinal sickness. You may use premade mayonnaise for a similar result. Then add saffron and garlic. This saffron colour is a little fake, as I have used the Sazón Goya seasoning I have told you about earlier. When you use eggs for this recipe, remember to leave them outside the refrigerator so they reach room temperature. Separate two egg yolks, and beat them. Add a little vegetable oil ( I use rapeseed oil), and beat to emulsify the mixture. Add more oil and work the mixture until it has thickened. Add mustard, saffron (or one bag of Sazón Goya seasoning - and then do not add salt! ), salt , pepper, garlic and dill weed. Add 10 oz / 300 grams peeled shrimps and 5 oz / 150 asparagus tips. Stir into mayonnaise. Allow to cool in refrigerator for a few hours.